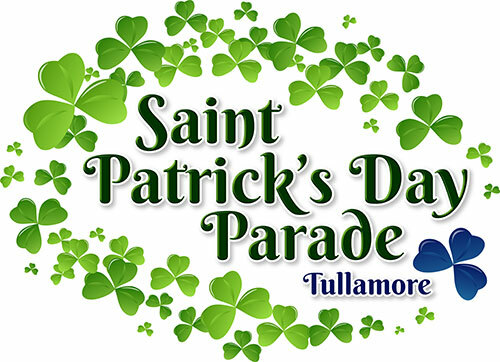 The Tullamore St. Patrick's Day Parade is run by a voluntary group, with thanks to many sponsors and volunteers. We are very lucky to have such a great parade in Tullamore, year on year. The Theme of this year's parade is 'THE FUTURE'.. where do you see your future? Does someone share your dream? See the future on Sunday, 17th March on the streets of Tullamore from 11:30am. About our Cookies Agree and Continue We use a number of different cookies on our site. Please click here to read in our Privacy Statement about the cookies we use on this site and what we use them for. Currently we operate an ‘implied consent’ policy which means that we assume you are happy with this usage. If you are not happy, then you should either not use this site, or you should delete the cookies having visited the site, or you should browse the site using your browser’s anonymous usage setting (called “Incognito” in Chrome, “InPrivate” for Internet Explorer, “Private Browsing” in Firefox and Safari etc.) Please note however that you may not be able to shop on our site if cookies are disabled.